Shellfish are particularly vulnerable to ocean acidification, and colder waters are becoming more acidic than warm waters. 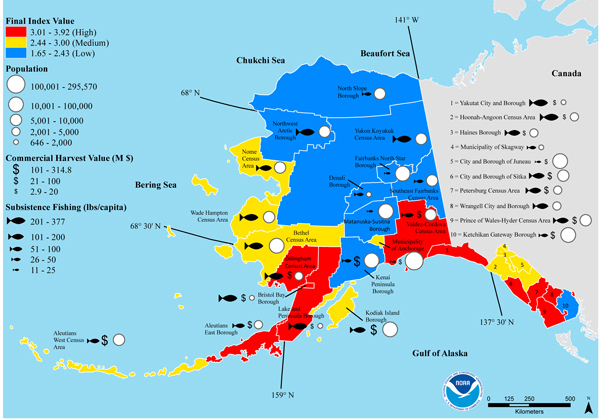 What does this mean for Alaska and its fisheries – especially crabs and oysters? Or for the food chain that feeds other species in the ocean? The answers are beginning to come in from the scientific world, and we’ll learn more about ocean acidification on the next Talk of Alaska. LIVE Broadcast: Tuesday, February 17, 2015 at 10:00 a.m. on APRN stations statewide. Next articleArctic Council 101 — What’s the Big Deal, Anyway?